The quality of your home life doesn’t just rely on what’s inside of your house. It also is heavily dependent on how well you take care of things outside the framework of your primary structure. And that means that you have to take care of things like your yard, your pool, and your patio spaces. If any of these external things move toward the areas of disrepair, not only will they not be useful, they’ll look dejected as well. To keep all these things in top shape, it’s smart advice to hire pool cleaners, work on your landscape at least every week, construct a patio that’s not going to fall apart, and regularly get outsider perspectives as to how things look. People who aren’t as familiar with your landscaping can give you a pair of fresh eyes to work with. If you own an outdoor pool, whether it’s above ground or in-ground, hiring pool cleaners to keep it at an ideal state of cleanliness is not a bad idea. You can try and figure out how to do it yourself. You can buy the chemicals. You can buy the brushes and the baskets and the nets. Or, you can simply hire people who do it for a living, and that means you can appreciate your pool without having to go through the headache of trying to figure out how to clean it regularly on an amateur level. Though there’s something to be said for professional pool cleaning, landscaping might be a little bit different. You can go through DIY landscape projects every week, and pretty much keep on top of anything going on outside of your house. It’s when you take longer than that to trim grass, cut bushes and trees back, or edge around paths – that’s when things are going to start looking unkempt. And past heavy machinery needed for initial landscaping, there probably isn’t much pruning and trimming that you can’t do as long as you keep up with it regularly. 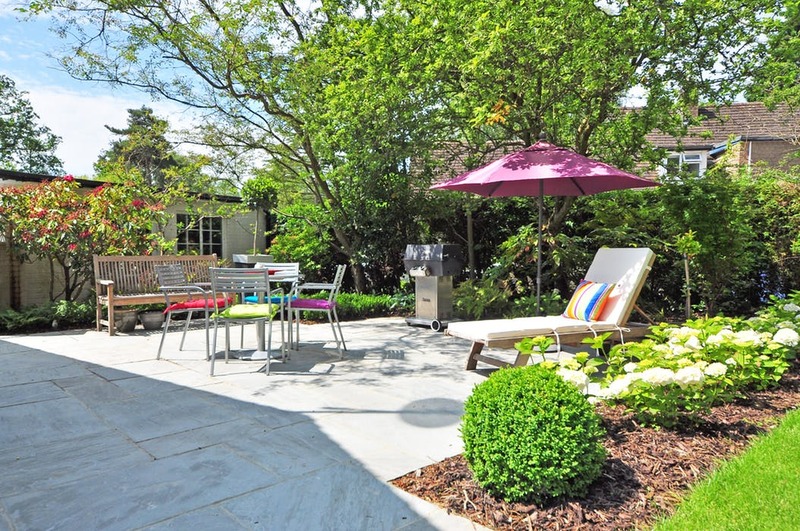 When it comes time to add a patio to your yard, you can go one of two ways. You can buy something cheap that’s going to fall apart. Or, you can buy a high-quality patio that’s going to last for many years. Because it’s such a visible entity, it’s almost always better to spend the extra money to get a setup that isn’t going to fall apart over a few seasons. When you’re trying to keep your landscaping and outdoor things in ideal shape, you may want to ask for an outsider perspective every once in a while. Because you’ll be so familiar with your surroundings, it may need a different set of eyes looking at them for you to realize what needs to get worked on.